If you are looking to renovate, expand, or build a home in the Montgomery County area, start with a consultation with Optimum Construction. Our general contractors do it all, and we do it well. Since 2008, we’ve been serving the greater Washington, DC metro area as general contractors for remodeling, home additions, finished basements, custom home building, and more. Our client-centered approach has earned us the praise and trust of homeowners throughout Potomac, Bethesda, Rockville, and beyond. We deliver projects on time, within budget, and according to your exact specifications. Let our award-winning general contractors take care of all general contracting services you need, and find out how low-stress, affordable, and enjoyable the process can be! Call us now at (240) 422-9990 or request a consultation with our general contractors serving Montgomery County and the surrounding cities. No matter what kind of home improvement project you have in mind, Optimum Construction is your ideal general contractor. Our skills and experience run the gamut of all contracting and construction needs. Not only can we handle jobs of any size, but we have a knack for completing jobs faster than you expect—for competitive prices. Ask us about any general contractor services in Montgomery County or the greater DC metro area. No matter what you hire Optimum Construction for, our experienced general contractors in the Potomac area are up for the job! Contact us today to learn how we can upgrade your Montgomery County home. 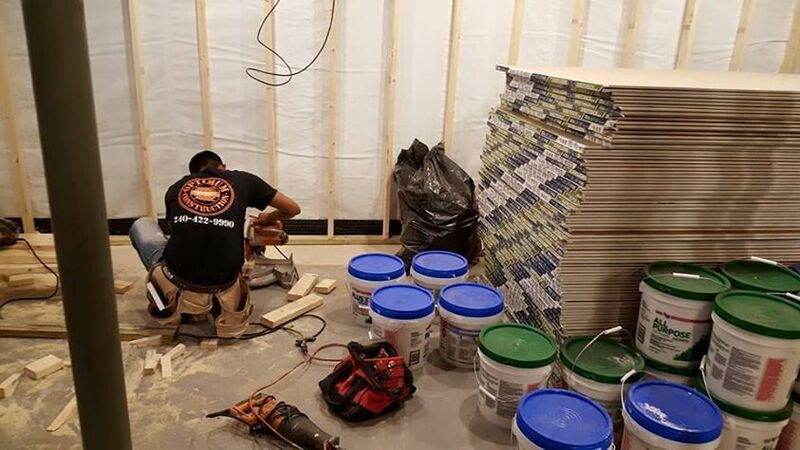 Since 2008, the Washington, DC area has been discovering that Optimum Construction does what it takes to deliver high-quality contractor services on time and on budget. We’ve earned Best of Houzz several years in a row, as well as the Elite Service Award from HomeAdvisor. Our knowledgeable general contractors in MD and DC are eager to get started on your home project! To schedule your consultation, contact us online today. Why Hire Optimum Construction for Your Home Remodel? Our goal is to make you 100% satisfied with our work. Open communication by a dedicated project manager ensures that you’re involved in the process from start to finish. As your general contractor, we’re a devoted partner who listens carefully and works earnestly to meet your needs on budget and on time. As a home remodeler and new construction contractor in Maryland, we have the capacity for jobs of all sizes. From makeovers to major renovations, Optimum Construction promises our utmost attention and an unwavering commitment to quality. Talk to our team today to find out how Optimum Construction can help you get the best results with a great customer experience along the way. Our licensed general contractors are available for projects in the Bethesda, Rockville, Potomac area, all of Montgomery County, as well as Northern Virginia and Washington, DC. To get in touch with our general contractors in Montgomery County, call (240) 422-9990 or request a consultation today!